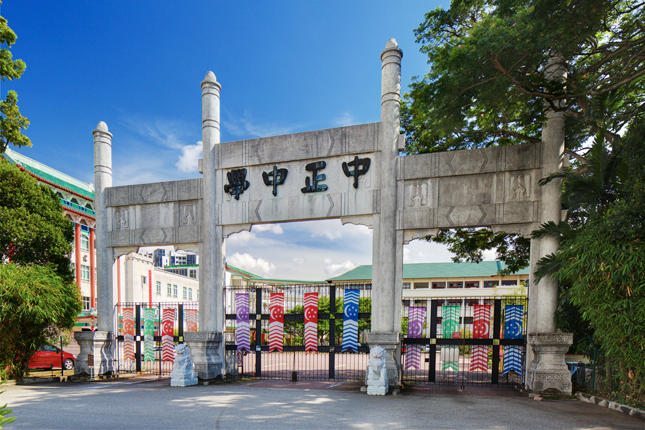 As one of Singapore’s oldest Chinese high schools, Chung Cheng High School was among the firsts to make higher education accessible to Chinese youth. The Administration Building and Entrance Arch bear testimony to the Chinese community’s commitment to quality education throughout the years. 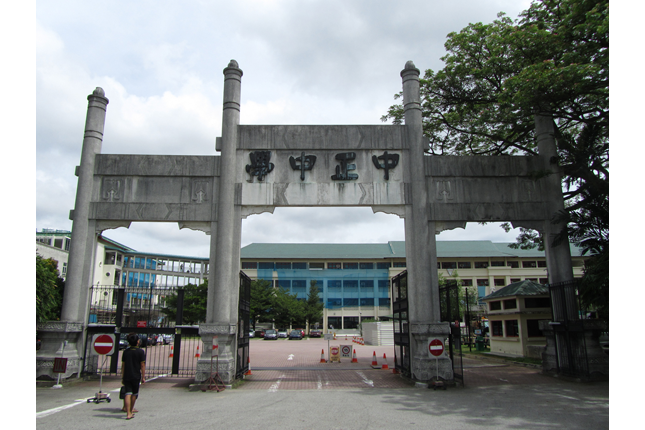 Chung Cheng High School was founded on 24 January 1939 on Kim Yan Road as an all-boys school by a group of prominent Chinese philanthropists who recognised the lack of higher education facilities in Singapore. At that time, government expenditure was spent primarily on English-medium schools, while Chinese-medium schools received little financial support. The new Chinese school was named after the leader of the Chinese Nationalist Government, Chiang Kai-shek (蒋介石), who also went by the name Chiang Chung-cheng (蒋中正). This is an indication that the Chinese community in Singapore was actively engaged with affairs in China then. The school’s first committee included illustrious members of the Chinese community, such as the well-known Burmese-Chinese philanthropist Aw Boon Haw (胡文虎), who was Chairman of the Board of Management; Dr Chuang Chook Ling (庄竹林), who came from a university in Guangzhou, China, to serve as Chung Cheng’s principal; Lim Bo Seng (林谋盛), the school’s first Supervisor; and Dr Lim Boon Keng (林文庆), the former President of Amoy University who galvanised support for the establishment of Chung Cheng High School. Lim Bo Seng later became Singapore’s war hero and a memorial was dedicated in his honour. During the Japanese Occupation (1942–1945), Chung Cheng High School ceased to function temporarily. When the school reopened after the war, it saw a sharp increase in student enrolment. In addition to the post-war increase in student population, the school began admitting female students, making it the first co-education (mixed-gender) Chinese school in Singapore. Soon, it became apparent that a larger campus was required to accommodate the growing enrolment. With the acquisition of a 13-acre property with nine large bungalows on Goodman Road in 1947, a new campus was built and named Chung Cheng High School (Main). The original campus on Kim Yan Road was referred to as Chung Cheng High School (Branch) and has since moved to Yishun. 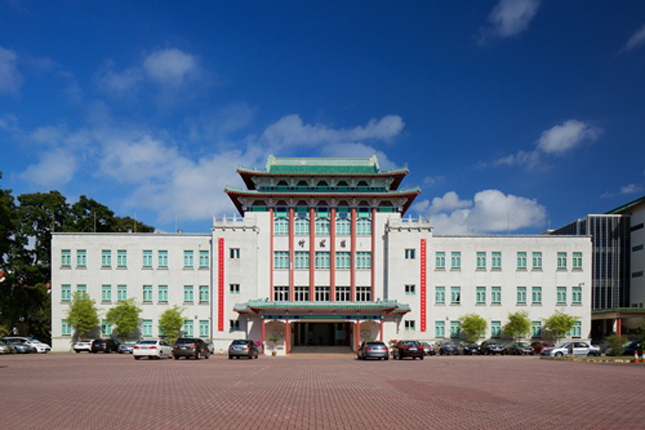 In as early as 1947, the Management Committee of Chung Cheng High School (Main) decided to construct a new administration block for the Goodman Road campus, in an effort to provide students with modern educational facilities. Chairman of the Management Committee Ko Teck Kin (高德根) spearheaded a fundraising drive for the project in 1962. Construction commenced three years later, with his successor, Goh Tjoei Kok (吴水阁), laying the foundation stone on 19 September 1965. Completed in 1968, the Administration Building equipped the school with proper educational facilities such as a library, laboratories, and an auditorium. The auditorium was the largest in Singapore at that time, having a seating capacity of over 2,000. A dignified entrance gateway was also erected. On 21 July 1968, Prime Minister Lee Kuan Yew officially declared the Administration Building open. 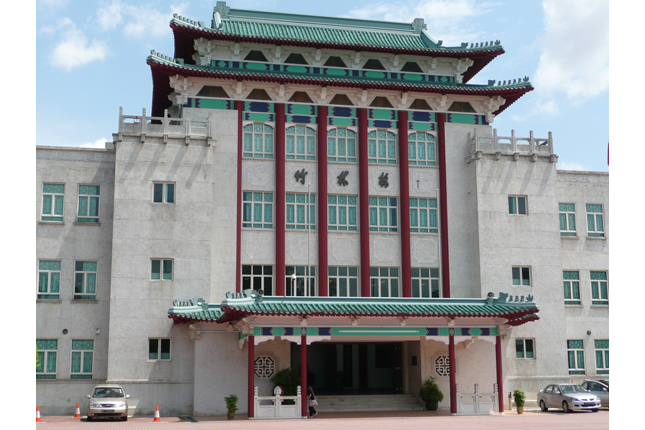 Like the Former Nanyang University Library and Administration Building, the Chung Cheng High School (Main) Administration Building was designed in the Chinese National style by the school’s alumnus Ho Beng Hong (何明煌). Combining traditional Chinese elements with modern architecture, the building has a modern and functional layout, while a prominent double-tier Chinese roof sits on a reinforced concrete structure. On the façade are various Chinese ornamental features such as cloud designs and bat motifs. Abstract embellishments of divine creatures known as xianren zoushou (仙人走兽) adorn the roof eaves. The octagonal windows on the ground level display a stylised Chinese character lu (禄), which means ‘prosperity’. Traditional green-glazed roof tiles are used on the rooftops. The Administration Building was named Zhulin Building (竹林楼) in honour of Chung Cheng High School’s founding principal, Dr Chuang Chook Ling. 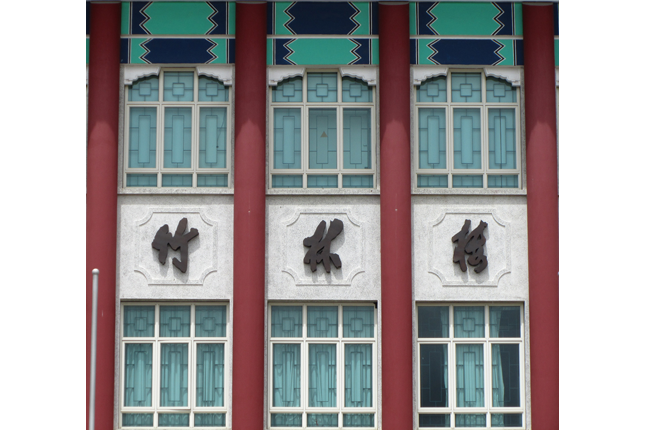 The building’s name is presented as a calligraphic inscription on the façade and is the work of Lim Tze Peng (林子平), an acclaimed artist in Singapore and alumnus of Chung Cheng High School. His signatory stamp is also affixed on the façade. Inscribed with the name of the school in bold characters, the Entrance Arch features stylised motifs of bats, which represent good fortune and happiness. Ornamented stone pedestals clad the base of the posts, which are believed to resemble calligraphy brushes. As such, the path through the Entrance Arch towards the impressive Administrative Building is symbolic of the students’ journey towards higher education and a promising future. In 1979, Chung Cheng High School (Main) became a Special Assistance Plan (SAP) school, offering both English and Chinese as first languages. Today, the school continues to develop bicultural students who are steeped in Chinese culture. 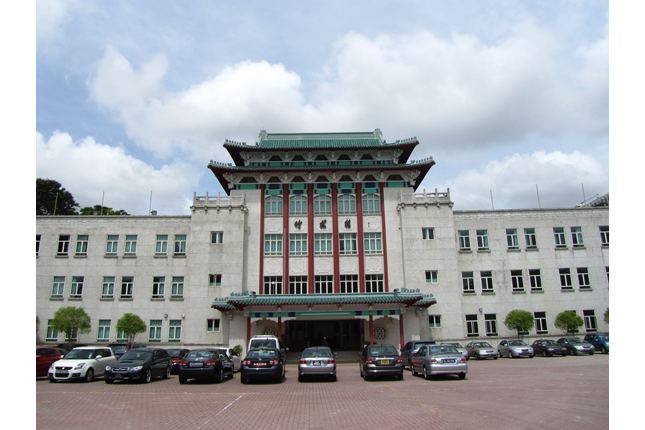 The Chung Cheng High School (Main) Administration Building and Entrance Arch were gazetted collectively as a National Monument on 10 July 2014.